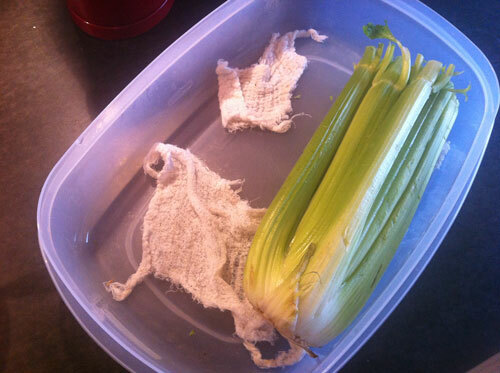 Cut the cheesecloth to fit the bottom of the container, place vegetables inside, close container and put in the fridge. Your vegetables, especially leafy greens, will keep days (sometimes weeks) longer than in a bag or in the “crisper” (never found the “crisper” to work particularly well myself). The cheesecloth may need a wash after a month or two in the container; I throw mine in a garment bag to keep it from unravelling, and wash it with linen laundry.